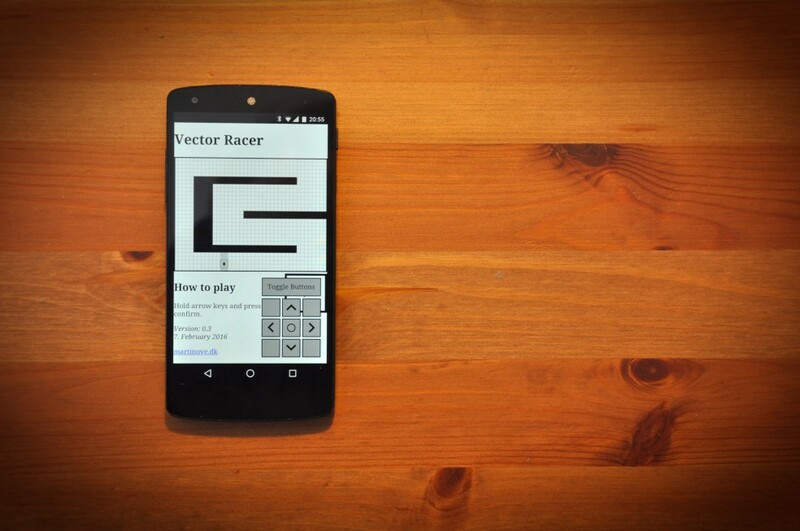 Vector Racer has reached version 0.3 and the major improvement in this release is the mobile UI. 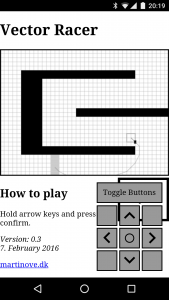 The game runs in a HTML Canvas element, and the canvas element need to have a width and height defined in pixels. That goes against responsive web design for mobile which relies heavily on relative units for layout. For a while, I didn’t think that the canvas could become responsive since the canvas element is so pixel bound. Every canvas method and, subsequently, all my game logic is pixel based. Having to recalculate would be a nightmare, I thought. The scale() method lets me keep all my game logic untouched and just scale the drawings on the canvas and the width and height of the element. This allows me to incorporate the canvas element into a responsive layout and thus create a sensible, responsive layout for all screen sizes.